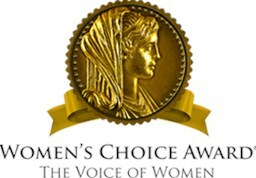 As a longstanding, award-winning interstate agent of Allied Van Lines, we are proud to be affiliated with a company that is, once again, being awarded the Women's Choice Award for America's Most Recommended Moving Company. Giving a voice to women everywhere, the award acknowledges our dedication to providing high quality services that now come most recommended by women all around the world. As the 2016 winner, we're proud to be officially recognized as a trusted mover offering reliable and cost-effective services for both households and businesses moving locally, long-distance and even internationally. Since 1928, Allied has been a top-quality moving company providing the modern moving equipment and training to meet any relocation need. As an agent of Allied Van Lines, Simonik Transportation & Warehousing represents and is a part of the hundreds in a dependable network that spans the globe. This means that along with using Allied's unrivaled moving equipment, we also have the capabilities to complete any sized relocation no matter where in the world it takes you. For nearly 40 years, Simonik Transportation & Warehousing has been serving the moving needs of those in Central New Jersey and the surrounding communities. We've built our fleet on the premise that no matter the size of your move, each and every customer deserves top-notch services with cost-effective pricing. As proud agents of Allied Van Lines, we uphold the virtues and qualities that Allied is known for—integrity, respect, and efficiency. Having received several awards ourselves from Allied, we are proud to continually uphold the high standards that not only helped with this achievement, but also continues to help us in our more important daily achievements – exceeding customer expectations for quality moving and storage services. Read more about our customer satisfaction on our moving company reviews page. If you're looking for a moving company in New Jersey for your next relocation, choose the reliable and reputable services from Simonik Transportation & Warehousing. Give one of our moving specialists a call to learn more about our moving solutions or fill out our online form to request your free moving estimate today!